Lists of 'Things you never knew about the Underground', you just can’t get enough of them, right? But are all these 'facts' true? Is the truth being bent a little? And what if some things you’ve read about the tube are a load of bunkum altogether? One thing's for sure; the facts below are definitely made up — because we made up some ourselves, and asked you to think up the rest. When you’re next down the pub, try slipping some of these into the conversation and passing them off as bona fide. Bond Street is obviously not named after James Bond. It's named after former resident Ernest Moneypenny, inventor of the premium bond. In tube platform announcements, the length of the pause between the words "mind" and "the gap" indicates how wide the gap between train and the platform actually is. Escalators wide enough for three people were once trialled at Pimlico in 1976, so people could stand on both sides and others could walk through the middle. The initiative was ditched when the escalators still got blocked with people with huge suitcases. Cannon Street station had its last live cannon decommissioned in 1924. A councillor from Harrow by the name of Christopher East once unsuccessfully complained to TfL on grounds of discrimination, as there was no East Harrow station. (There is a North Harrow, West Harrow and South Harrow). A special pronunciation map for American tourists. It doesn't exist. 'Hypercolor' travelcards were once trialled on the network in 1991. Starting out blue, the card changed to purple as you got low on money, and went red once the balance reached £0. One of those ‘forgotten laws that are no longer upheld’ states that anyone riding on the roof of a Northern line train faces a fine of £2. There is a USA-tourist edition of the tube map available with phonetic spellings of all station names. 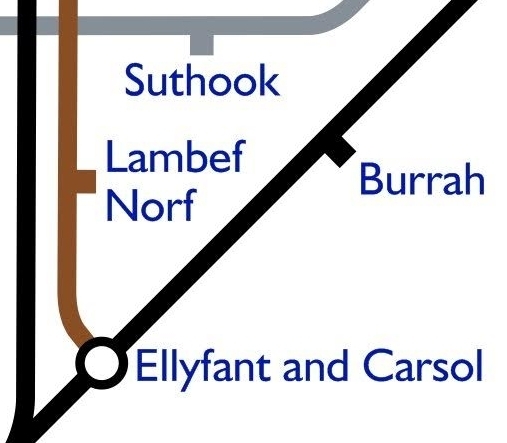 Borough, for example, is 'Burrah'. One passenger — chosen at random at the end of each day — has their day's Oyster usage refunded. If you press every single 'door close' button on a Central line train simultaneously, the train reboots and emits a sound similar to a Mac's startup noise. When the London Underground first opened, tickets were circular in shape as it was easier to conceal them in a top hat. The supervisors' office at Morden station has a rogues' gallery of snaps of people who've ended up there by accident, after falling asleep and missing their stop on the last train home. Roding Valley station doesn't actually exist; it's a ‘copyright trap’ to catch out those replicating the tube map illegally. At Oval station every Comic Relief day, all the roundels are replaced by actual oval shaped ones. The phrases 'minor' and 'major' delays were introduced by a TfL press officer who previously worked for the London Symphony Orchestra. There were once plans to have a 'Zone 0' fare zone, for just Bond Street, Oxford Circus, Tottenham Court Road, Holborn, Green Park, and Leicester Square stations. In a government move to boost language education, if you switch languages on a ticket to machine to be anything but English, you automatically get a 5% discount. There's a still a service on the Jubilee line to Charing Cross, but it’s a parliamentary train, and it only runs on the second Wednesday of the month, at 12.13am — the last train of the day. New trains being designed for roll-out in 2020 will have forward-facing 'kids seats' fitted with plastic controls, so that under fives can 'have a go' at driving. 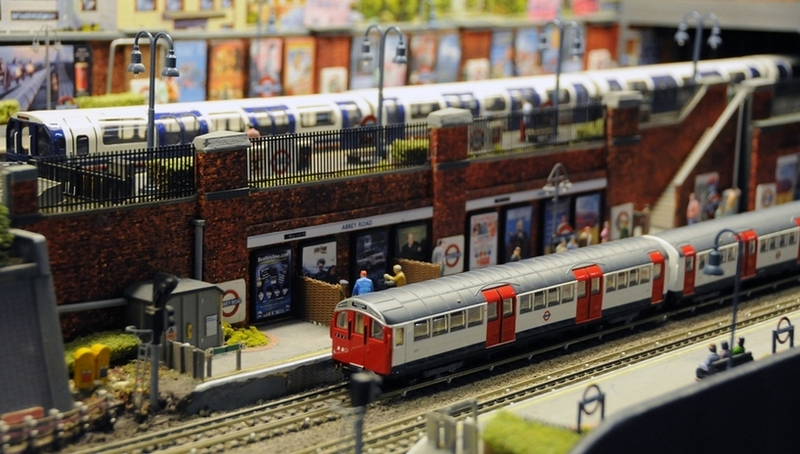 Video: Which 4 London Landmarks Feature In The Tube Moquette? Which Are The 17 Stations Where You Can't Get Wi-Fi On The Tube?